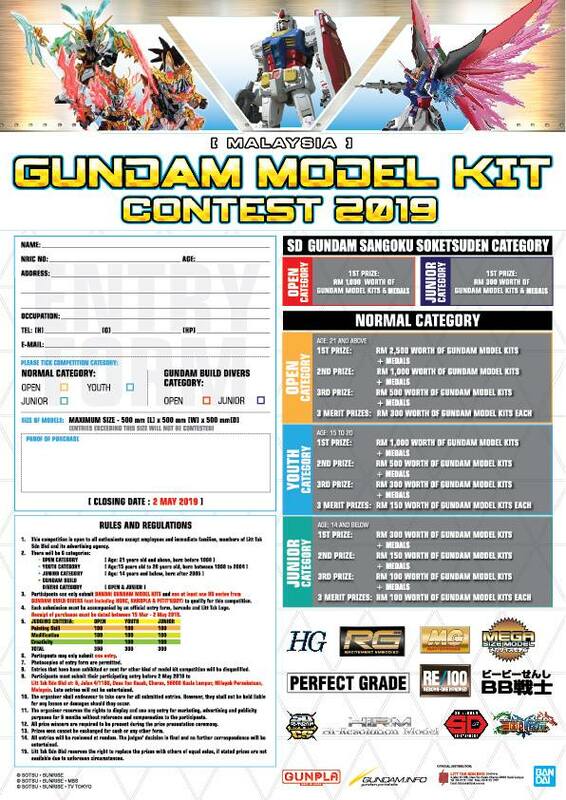 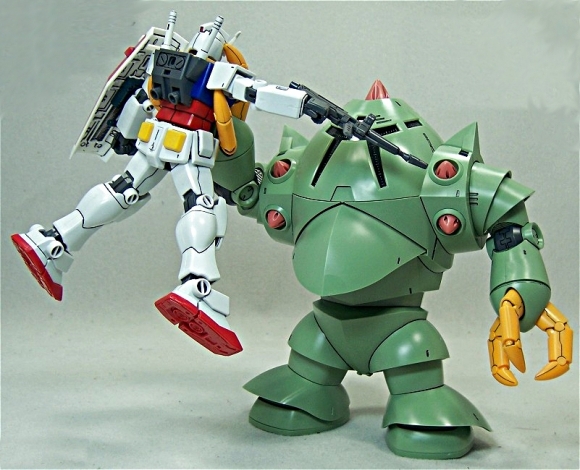 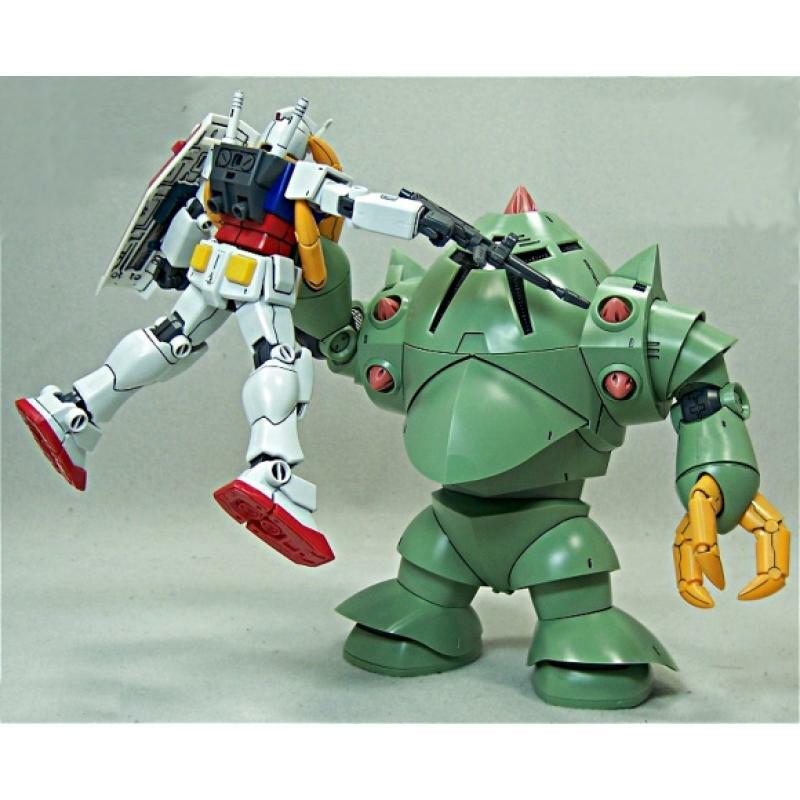 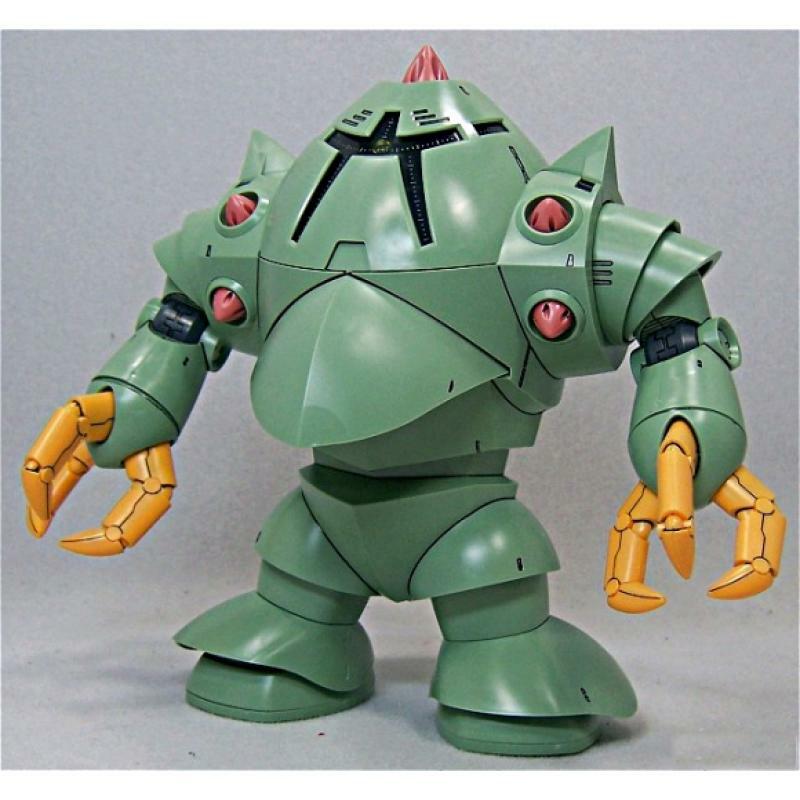 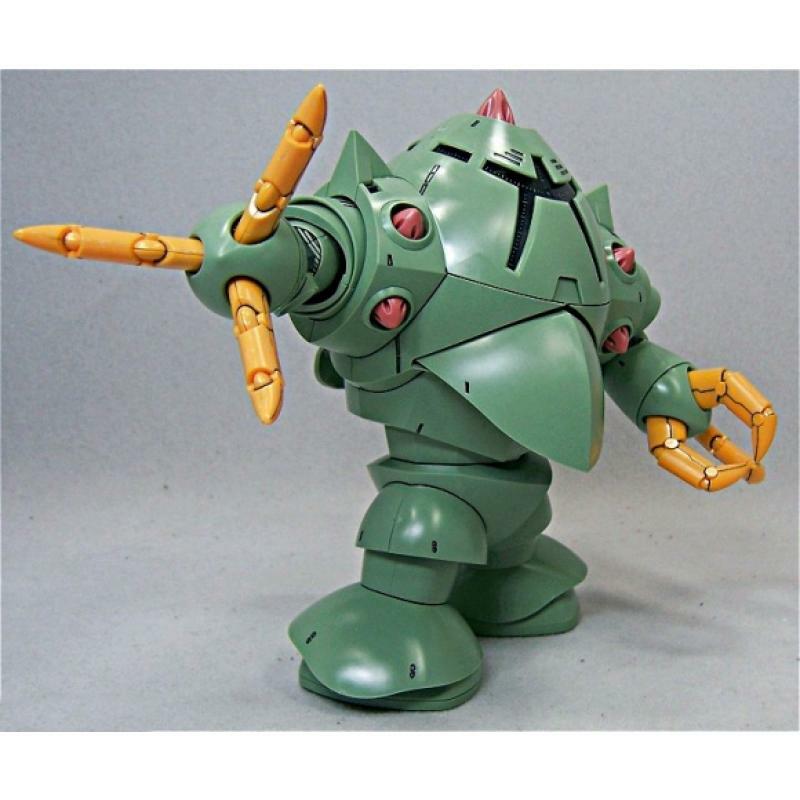 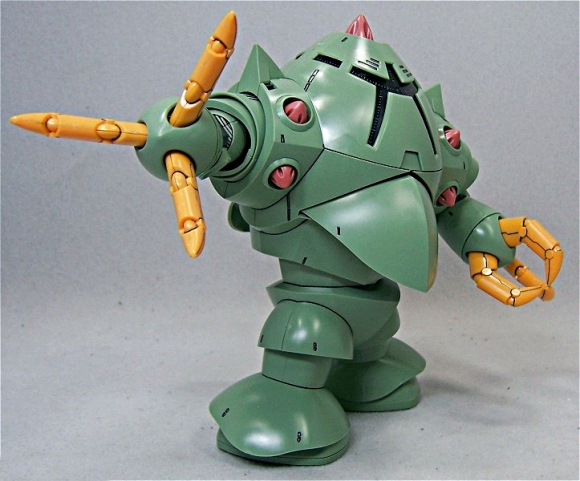 The amphibious green mobile suit from "Mobile Suit Gundam" has arrived in Bandai's HGUC series! 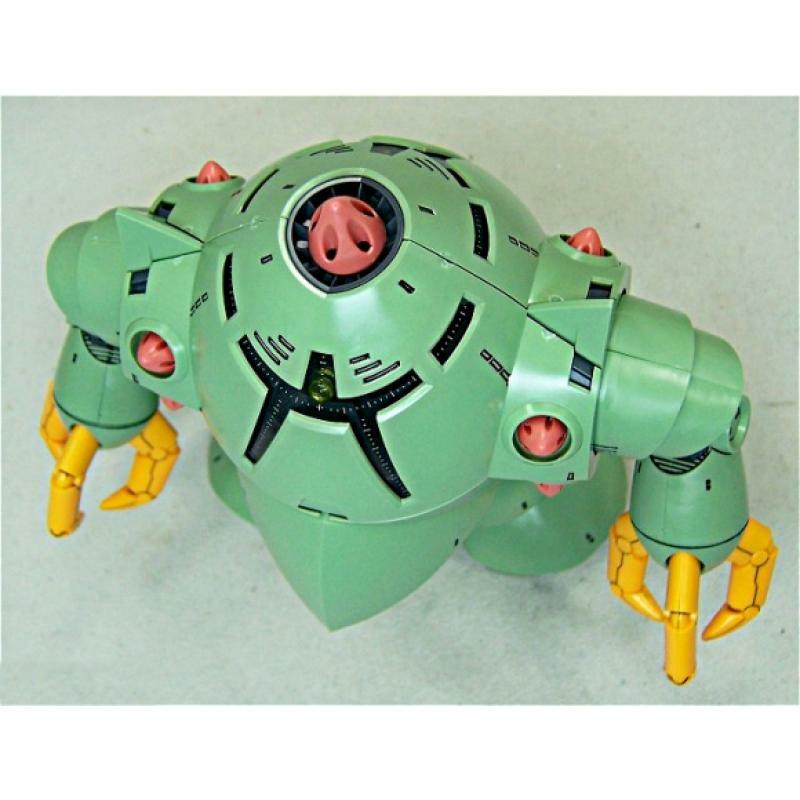 This snap-fit-assembly kit comes molded in color and features articulated joints, plus impressive inner mechanical detailing for its head and chest areas. 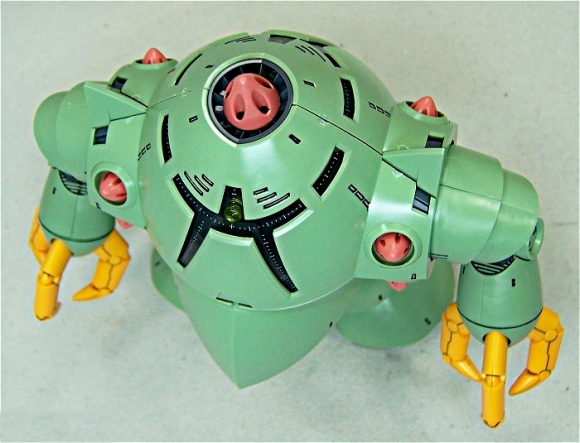 Its multi-directional mono eye is movable through its rails underneath the armor.